Our goal is to help you make the best use of your time, money, and human resources in your efforts to serve your membership and develop your revenues. 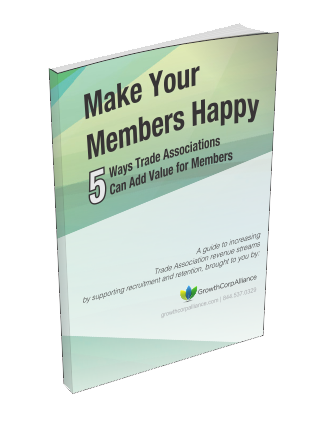 That’s why the suggestions in this eBook are designed to build on the foundation of what Trade Associations are already good at—providing value to members. Submit for your FREE eBook! By submitting, you are subscribing to GrowthCorp Alliance's monthly newsletter, which you may opt out of at any time. We never sell or share your information with anyone.